Hello friends, This is my other favorite card. One can have more than one favorite card, right? This is known as a Z fold. 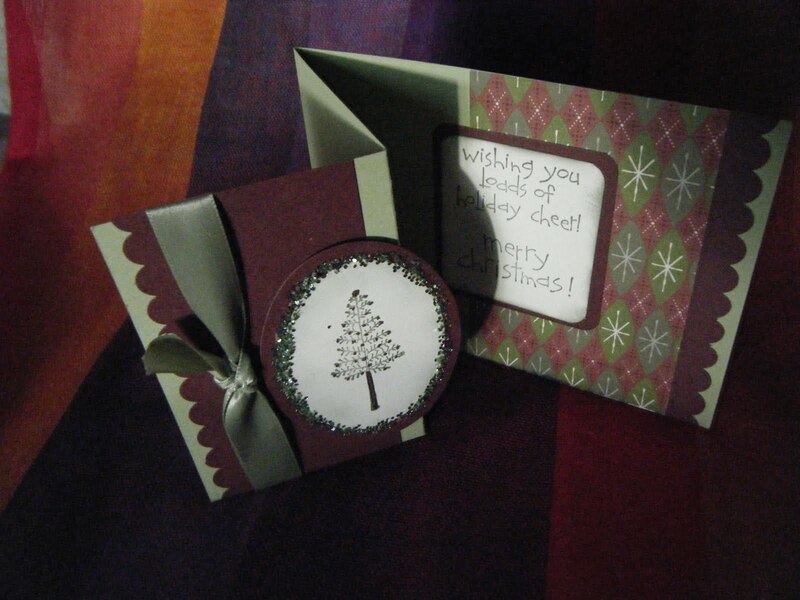 For the card, I used Certainly Celery card stock. The layers are Bravo Burgundy, Very Vanilla and a retired designer paper. I love that Stampin' Up plans and designs all the papers and inks to coordinate with each other. The stamp set I used is that ever so popular Loads of Love. If you don't know that set, you should check it out. It is so versatile in that it can be used for various occasions and holidays. You can find it on page 73 of the catalog. It's one of those sets you never get rid of. That reminds me. One of these days I want to add a page to my blog of retired stamp sets for sale. So be on the look out for that. I hope it doesn't take me forever to do it. I hope you are enjoying my posts. I feel so good to be back with you. Thank you for visiting and come back again. Take care and God bless you and your family. I've got lots of favourite cards, LOL. Stampin Up does make it easy to get colours right, thats what I like about their product. Gorgeous. I love the fold and the rest of the design elements. Fun to see this set used in less than traditional way. It's wonderful!